It is the advantage of lithium-ion laptop battery to enjoy recharging and portability with little memory effect. 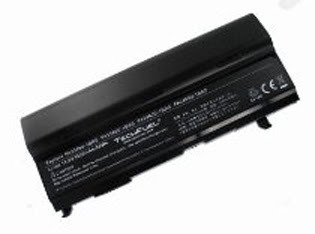 Under this circumstance, if you can take good use of these laptop batteries, it will be a great honor for you to become master-hand and get more amazing effects from your laptop computers. As is known to all, the laptop batteries are composed by shells, lithium-ion cells and protection circuits. Generally speaking, cells quantity is indicated in the specifications of laptop battery that can show us about the output power, voltage and electric current, figured by Watt, Volt and mAh. The internal circuit consists of protection circuit, also called secondary protection circuit, and capacity instruction circuit. It is produced to handle with the charge-discharge and security. The standby time is determined by the value of mAh. 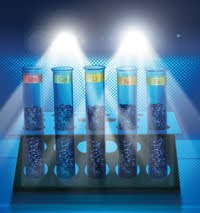 In most cases, the quantity of lithium-ion cells can show us the value accurately according to the properties of sole cell. And the lifespan of laptop batteries are determined by the cells recharging cycles. Except for the characteristics of lithium-ion laptop battery, it is of great significance for users to master some unique usage skills. Enter into sleep mode more rapidly. If possible, we can adjust to reduce the standby time before entering into the sleep mode, which can not only save more power energy but can optimize the performance as well. In addition, we are also able to get into sleep mode directly by closing the LCD screen. Please figure out the switch button of laptop screen and you can get more useful power energy. Speaking of the laptop LCD screen, diming the screen is supposed to be the most common way. According to the research, the value between 6 and 8 is regarded as the most reasonable range. In BIOS, there’re also several energy-saving modes for your reference, such as Standby Mode of Idle Mode. So, please read the indicating information on the screen seriously. At last, something in regular use has also related to the performance of rechargeable laptop batteries. For example, we can set the alarming mode to increase or reduce the alarming time while most of users prefer to 10% remained. If possible, please activate your laptop battery by charging and recharging for several times. I believe you will be a master-hand rapidly if you have acquired and figured out your own unique usage method in your daily life.